Established in 2009 and headquartered in New York City, New York, Castellan Real Estate Partners is a full-service, vertically-integrated real estate investor comprised of several internal platforms which include property management, bridge lending, investment, and property development and construction. 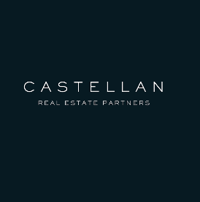 Formed in the wake of the financial crisis of 2008, Castellan Real Estate Partners took advantage of a range of distressed real estate investment opportunities, taking control of undervalued assets and investing substantial capital in these properties to maximize their potential. Maintaining a team of approximately 20 seasoned property investment and development professionals, backed by a support team of 60 people to manage its properties, the firm has made real estate transactions totaling approximately $750 million since its inception, focusing primarily on debt and equity transactions. Its disciplined approach to investing throughout the real estate sector enables it to source and invest in compelling opportunities, ensuring the addition of value to the properties it invests in while maintaining its emphasis on preserving capital.